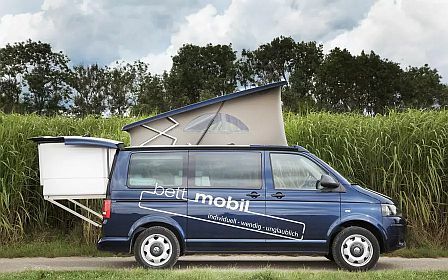 This page is a collection of new and efficient RV and Camper concepts as well as ways to make your RV or Camper Van more efficient. 4 Comments, Questions, Suggestions, Ideas? 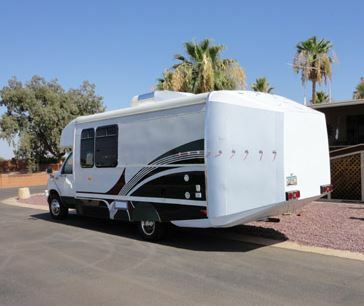 A unique design uses a pop-top and a rear pull out to dramatically increase the inside space when the RV is parked vs when its on the road. The pop-top reduces drag by decreasing frontal area. Here is another rear bed slideout option from Bett Mobil. Very space efficient. Thanks to Ken for suggesting this. 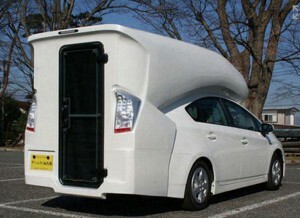 This is a Japanese conversion of a Prius into an RV. 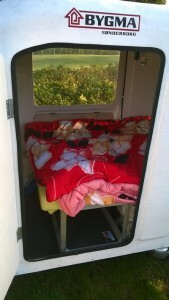 It has what looks like a large bed at seat level as well as a smaller upper bunk. Some cooking equipment and a small table. An RV that might get up toward 50 mpg! These are vortex generators that tend to reduce air separation at the back of the vehicle. Separation at the back of the vehicle is a major source of drag. Read over all the material carefully and see what you think. 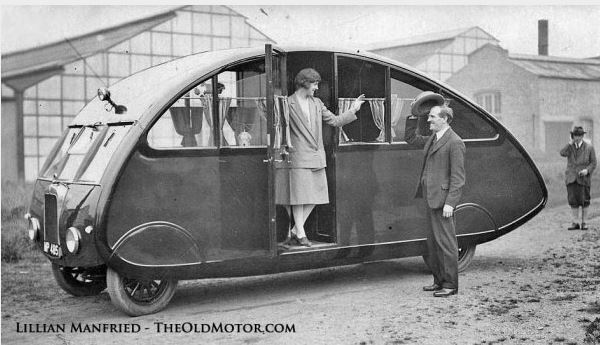 The idea is to form a boat tail fairing from a one wheel trailer. 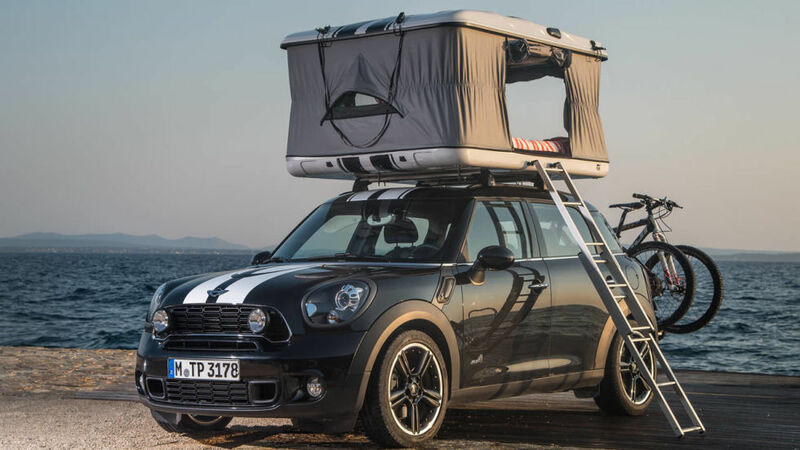 It has the potential of reducing vehicle drag while at the same time increasing cargo capacity. 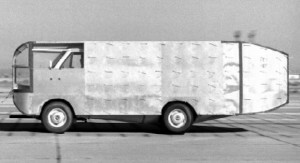 Much of a van’s drag comes from the flat back — air separates at the back and forms a low pressure area that contributes a lot of drag. The idea here is to basically provide a trailer that forms a boat tail fairing that would reduce the drag caused by the flat back. 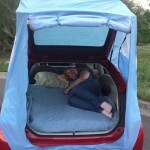 The Ecomodder site is a gathering place for people who want to do mods to their vehicles that improve fuel efficiency. Hundreds of ideas for drag reduction and efficiency improvement, most of which have actually been built and tested. Also a good source of expert advice on whether proposed changes will work. This post from the Ecomodder Forum shows a very nicely done boat tail fairing added to a class C RV. 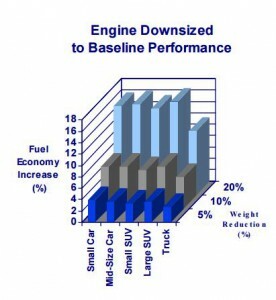 A first estimate of the improvement was a 30% improvement in fuel economy. Interesting paper that shows the reduction in drag coefficient for going from a box shaped vehicle to various front end and rear end fairing treatments. 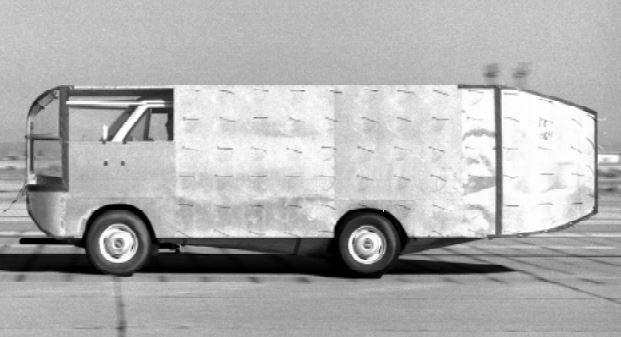 Based on actual vehicle tests, an about 75% reduction in drag coefficient was achieved. 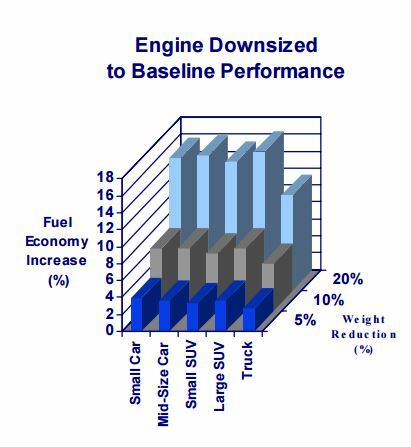 This paper models the effect of weight reduction on fuel economy for a range of vehicle sizes. Shows reduction with and without resizing of the vehicle power plant to take advantage of the weight reduction. 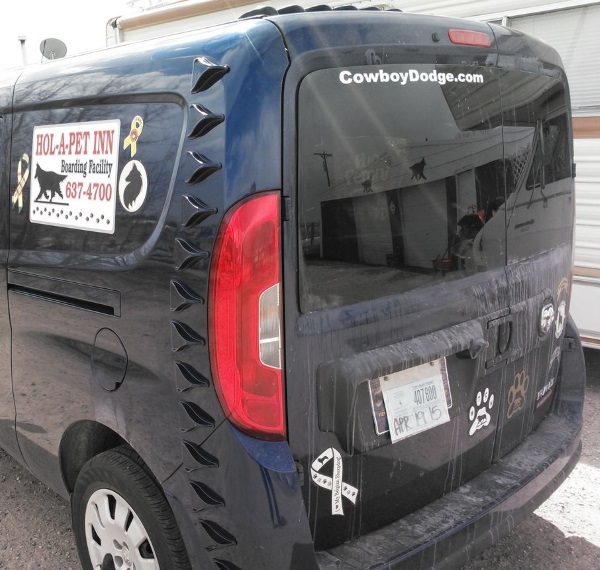 A rough rule of thumb for camper van size vehicles: You get about 0.5% gain in mpg per 100 lbs of weight reduction. Wide Path — a folding camp trailer for your bike! 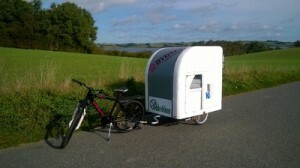 A camper trailer for your bike. Compact for towing, but folds out for camping — weighs only 45 kg. 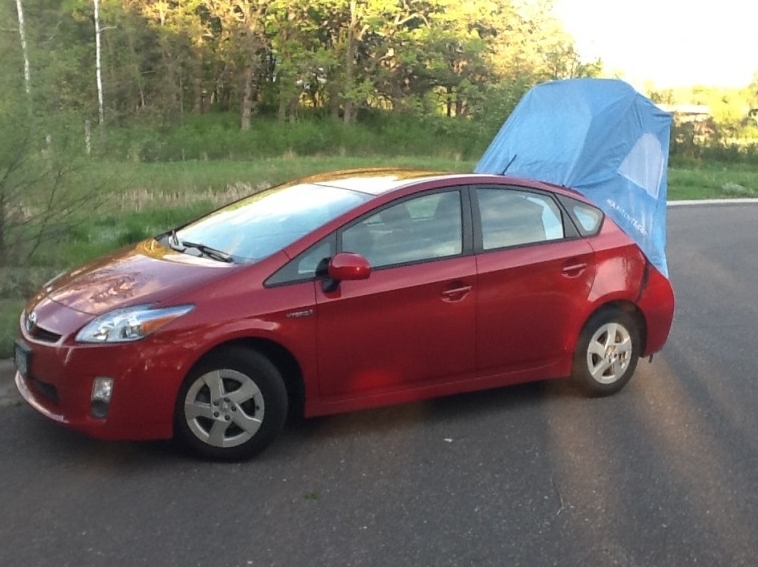 A $100 tent for the Prius allows up to 2 people to sleep in the back of the Prius. A good video that shows how the tent sets up and how to rearrange the seats and storage for sleeping. 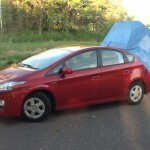 The only 50 mpg camper that I know of. I love anything to do with efficiency in in enjoying life or less expensive money it’s unfortunate that the Nazis are looking for people who are trying to go cross-country and see the world or see the United States as low-cost as they can and they seem to be giving him a hard time when they sleep in their vehicles. Just got to be another way around this. I have ford ranger I’m working with. 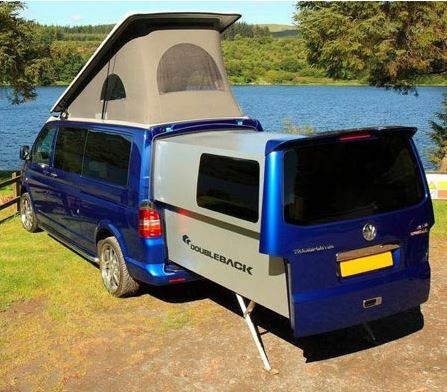 Slping camper shell and solar panels which will tilt up when stopped. I just wanted to say THANK YOU for a great site. You have volunteered to put all this great info together just to help us all out. You deserve a continuous stream of thanks for that. And I like that there are NO ADS cluttering up your site. Just a classy, helpful pleasant place to visit. Thanks again.